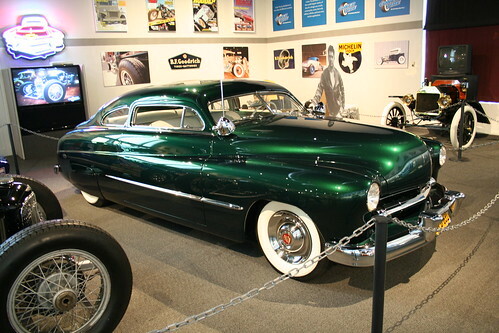 If you appreciate custom cars from the 50s or if you think lead sleds are cool you owe much of it to this car. Sam Barris is the lesser well known, but some say more talented, brother of George Barris. You can read all about this car and see more photos in our Feature Car pages. I always knew of what George Barris built and loved his work. I had heard of Sam Barris but really didn’t know much about him until I recently visited the NHRA Museum in Pomona, CA and saw this magnificent Merc on display. This is not only a beautiful car it is a real piece of American Hot Rodding history. I think it is every bit as important to restore and show these kinds of cars as it is to restore ANY stock production vehicle. Cars like these are what made a lot of us the car geeks we are today. There are more. What are the cars you want to see again?